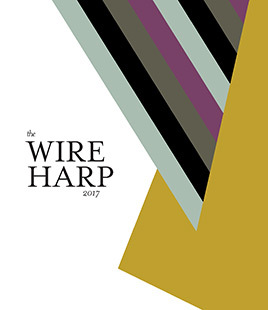 The campus Literary and Arts Magazine, The Wire Harp, is available, for free, at popular locations on campus and online. It showcases intriguing stories, poetry, and visual images created by our SFCC folks. It is designed by our very own student designers. We are accepting work for the new issue - deadline is Jan. 22, 2018. Download the submission form and details. Are you considering our program, and the design profession? Perhaps you are considering joining our programs, or you may be waiting to apply and interview in the Spring. We will have interviews in June. Consider working toward an AA degree allowing you to transfer to a 4-year school. Be careful with student loans and financial aid. Don't use up limited benefits before you need them. Visit our Graphic Design and Web Design program web pages to become familiar the program requirements. Read the "Changes to our program..." article in the left column for related courses you can take. You can take the required software courses before starting the program. Photoshop I, Illustrator I, InDesign I, and Dreamweaver I. These are self-paced and can be done in the lab, or on any computer with the Adobe software and an internet connection. The History of Graphic Design course is offered in Spring quarter, and is open to everyone. Is Graphic Design the career for me? Am I curious and enjoy learning new things and solving problems? Can I read and write reasonably well? Do I have some idea what graphic or web designers do? Do I have talent in the field of arts; do I draw, play music, build things? Do I have an interest in and experience with computers and graphic software? Do I communicate well in writing and in person? How can I find out about design? Start by searching the internet for "graphic design". There are many books and online resources that will introduce you to the principles and practices of design. It takes years to master the design profession. Start thinking immediately; start observing. We live our lives surrounded by graphic design; learn to stop and study it. If you are interested in web design, the folks who make the Opera web browser created a free online web design curriculum; it is a good place to start. Search for Opera curriculum and you'll find it. There are many free podcasts devoted to design and web design that you can use to learn about the design world. On the many "talk shows" you will hear designers sharing all the details of the design lifestyle. A search of the iTunes store will locate them. For example, the School of Visual Arts has a wonderful series of podcast lectures by Steven Heller. The Reflex Blue show is full of energy; the Debbie Millman archives are full of deep wisdom. Our programs use two gigantic books, the Graphic Design Solutions by Robin Landa and the History of Graphic Design by Phillip Meggs. These are excellent resources, the type of books designers keep and refer to for inspiration and review. You could begin studying Graphic Design Solutions early and still not absorb it all by the time you graduated. Graphic Design is something best learned by observing, researching, and doing. Design may be about arranging visual elements but it is ever more involved with social interaction and human behavior. It is a life-long journey of discovery and puzzlement. Use your favorite search engine to find graphics-related web resources. Enter “graphic design” as search term and see what you find. As you discover good stuff, save the bookmarks. Explore iTunes and its Podcast Directory. Search for your area of interest. Try out the sites you find. The podcasts will have a list of similar shows. Subscribe to your favorites and you'll have hours of educational fun. Imprint, a ton of design thinkers; I subscribe to the Daily Heller to keep energized. Steven Heller also has a great series of historical lectures. The Spokane Advertising Federation is the local professional group. Consider joining, or attend some of their events. The Inland Northwest Multimedia User Group meets downtown at SIRTI; sponsored by Adobe. A good local learning opportunity. The School of Visual Arts in New York. History and interviews. The offerings from Steven Heller are great. The Design View; powerful thinking; big, fancy words. 36 Point, the Young and the Ruthless! They speak the truth about the biz. The Design Observer. The “establishment” design site. They are chummy with the AIGA. Communication Arts, Print, How; some of the design magazines. Imprint.com is Print Magazine's repository of design thinking. It can overwhelm...I'd try Steven Heller first. Adobe makes most of our software. Try Adobe TV for interesting graphics viewing. They also have free courses in Print, Web and Video. The movies about design that all the "cool kids" have seen. The bulk of inspiration for designers of printed materials is available in print; books and magazines devoted to print design. You will find philosophical discussions, business practices, and nuts and bolts tips on the web, but nothing beats paper for delivering good print design inspiration. Our course textbooks, the History of Graphic Design by Phillip Meggs and Graphic Design Solutions by Robin Landa are two huge sources. Web Standards are highly recommended for designers; they are required by law for many clients. Who creates standards? The World Wide Web Consortium, W3C. Another version of the "Whole Meal" comes from Wordpress, the blog folks. Before dabbling in their software, they suggest you get your game on; they have collected their own links to web skills. Many good people have published some really good books...and put them on the web for free. Dive into HTML5 is short and sweet. Sitepoint compiled articles from their online community, thinking-web-voices-of-the-community, very interesting perspectives. There are thousands of great minds working together to share web knowledge. Below is a short list. As you visit these sites you will discover many more. My apologies to those I haven't listed. The Opera Web Development Curriculum. A great reference-tutorial site, SitePoint. Get the real story from real designers talking shop; discussing what they do, what they eat, how they talk and behave. The 36-Point: Reflex Blue Show provides very real advice for working designers. Try out Debbie Millman's design show, Design Matters; Hang out with British web pros Paul and Marcus at Boagworld. Also, Andy Clarke's Unfinished Business, and Dave Rupert and Chris Coyier's Shop Talk...and many more to be found in iTunes. Every web designer should know about Jakob Nielsen. His cause is USEABILITY, stressing streamlined user interfaces and NO EXTRA IMAGES. Agree or disagree with him; you need to know who he is. There are lots of showcase sites featuring cool stuff. You may find them interesting, or they may fill you with “eye candy” and make you "hyper".